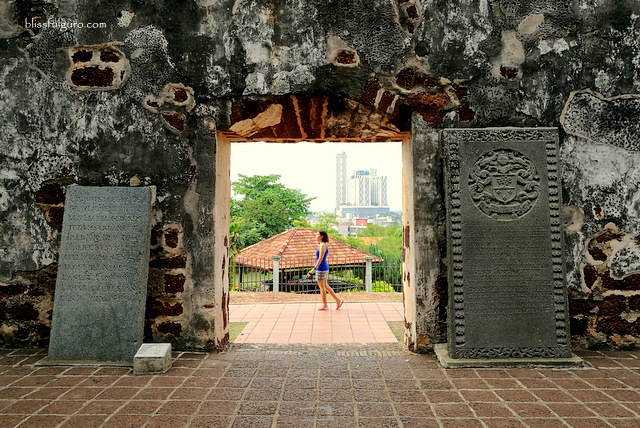 No, there's no gorgeous beach or breathtaking landscapes in Melaka; but me and my buddy fell in love with this historic city in Malaysia on our first visit and went back the year after, and then now. It was nice to walk around the familiar streets of the old town while making new memories as we travel with our respective moms. Playing the adult roles, we retraced our steps back to our favorite places and showed them why we come back here year after year. 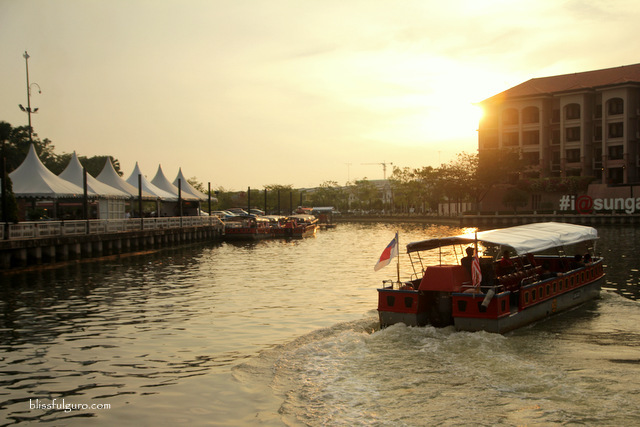 The charm of Melaka never fades. In spite the fact that each year, a lot of funky Disneylandish stuff has been adding up to the whole hullabaloo, we love the city. It may be the food, the nice people, or the chill riverside stroll, but nevertheless, it always is an exciting trip. Melaka was our first stop on our Same Same Summer Trip 2017 backpacking trip. On the first leg of our two-month backpacking, we traveled around our favorite cities in Malaysia with our respective moms for the first two weeks. It was their first time to try out backpacking and it was a new adventure for me and my buddy as well. Arriving at Kuala Lumpur International Airport at one in the morning, we immediately went to KLIA2 Terminal Level 1 to buy our bus tickets to Melaka. The next available one will be at 6:10 am (MYR24 | US$5.64) so we did some errands first while waiting for our departure (which includes buying and registering a sim card - MYR30 | US$ 7.05). We also had a quick snack on a food court and surprisingly, the moms weren’t cranky even if we didn’t have a decent sleep for the past night. We hopped on the bus on the scheduled departure time and snoozed the ride away until we arrived at Melaka Sentral at around eight in the morning. 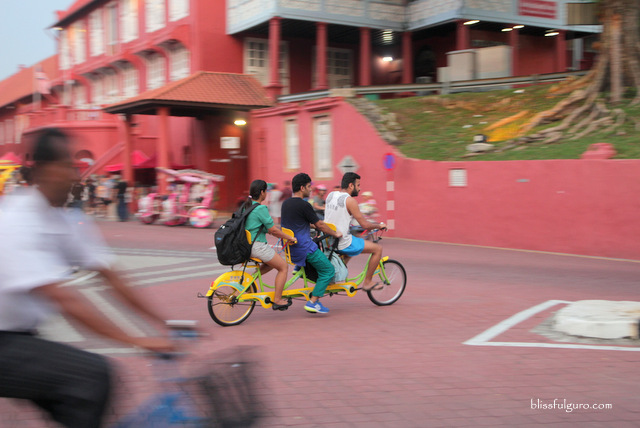 We grabbed a cab and went straight to our home in Melaka, this time around, at Temasek Hotel. We continued the slumber at the comforts of our room while escaping the afternoon heat of Malaysia. 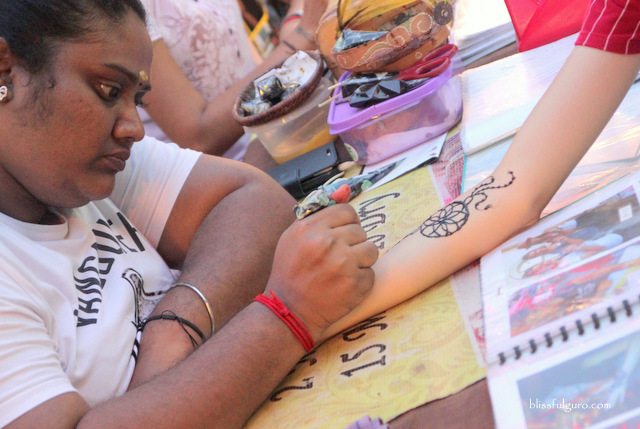 At three in the afternoon, we started our Melaka adventure. The moms wore traditional Muslim dresses with the help of some gracious usherettes who offered it to them, free of charge. 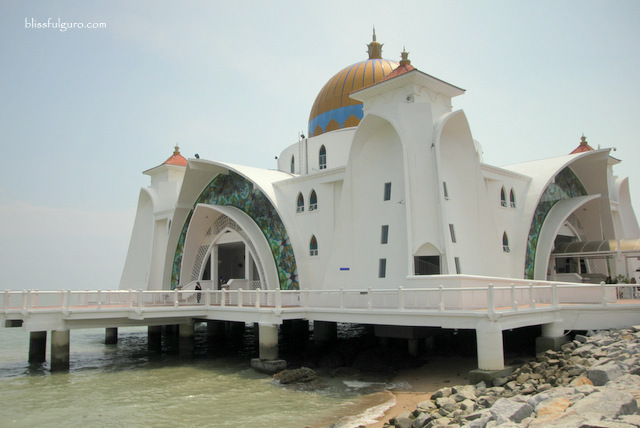 They went inside the Melaka Straits Mosque while we waited outside. After a few minutes, they emerged from the main entrance and shared their experiences right away, with emphasis on the nice people who offered to take photos of them inside. 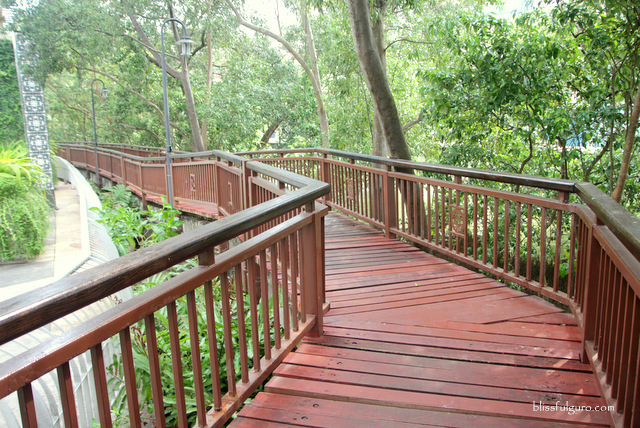 We then went to the riverside where we strolled along the mangrove-laden boardwalk. 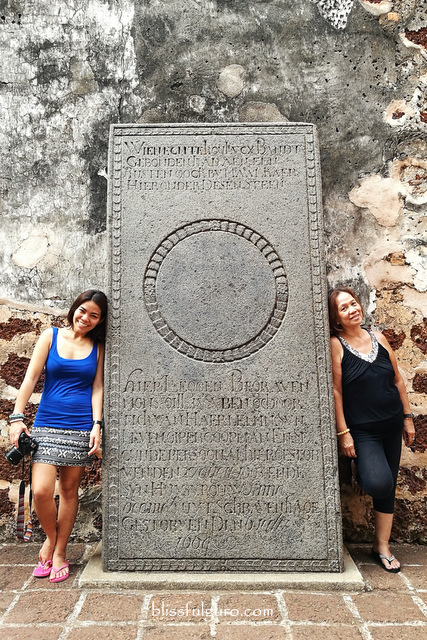 The moms were too excited as we pointed out how important Melaka River was during the 15th century as a vital trading route. 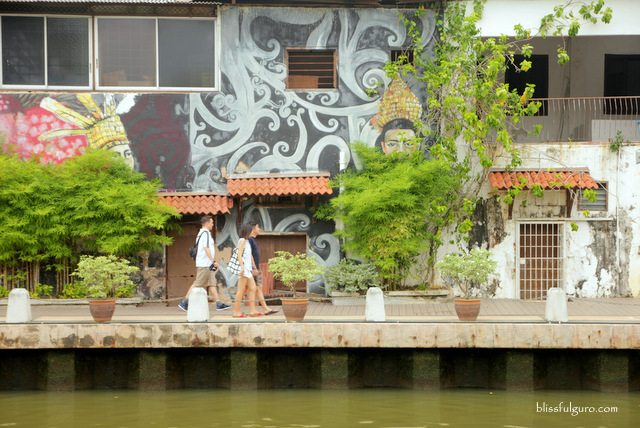 We passed by some structures filled with graffiti and then headed to the UNESCO World Heritage Center of Melaka. We brought them to the Christ Church, The Stadthuys, the Clock Tower and to Queen Victoria’s Fountain. We then hiked up a hill to where the ruins of St. Paul’s Church is located. Enjoying the cool breeze, we showed them the panoramic view of the city from that vantage point. The private tour guide duties went on as we went back to the riverside and headed towards Jonker Walk. Luckily, it was a weekend so we chanced upon the night market in the middle of the famed street. 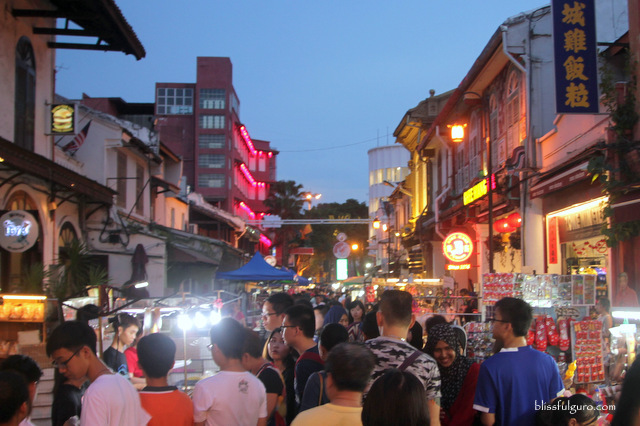 We sampled some of the street food and searched for cheap souvenirs for them to take home with. We ended the day with a dinner feast on a Chinese restaurant somewhere near Jonker Walk. If it was just me and my buddy traveling, we would’ve ended that night with a beer sesh on our favorite riverside bar but no, we retired early as the moms were too tired to even go back to the night market. 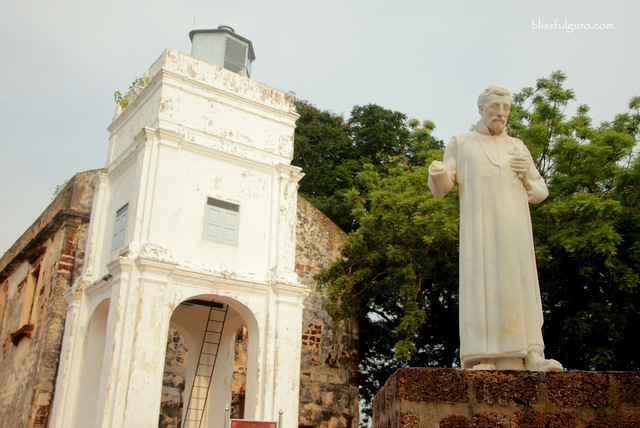 The next day, our last day, we explored the quiet community on Melaka’s Portuguese Settlement right outside our hotel. The moms were exchanging thoughts about certain ornamental plants on residential gardens while me and my buddy checked out the nearby fishing village. It was a chill morning as we were set to leave Melaka at noon. It was short, sweet and a totally different experience from what we used to have. For four years, we’ve been traveling for two months straight every year without worrying about anything but ourselves. This time around, we’re consumed with our respective mom’s desires and requests that there were times when it felt like we were backpacking for the first time. Nevertheless, it was a perfect two days to start with. Hopefully, things will be as good for the next twelve days with them. I must say that Melaka has captured my heart as well and hopefully I could go back and stay longer next time.